What Do Warner Service Professionals Say About Trane? Trane, a subsidiary of Ingersoll Rand and successor of American Standard Companies, is an industry leader in energy efficiency and product innovation. Take our word for it. Warner Service calls Trane a "reliable" and "tough" brand. The HVAC company creates quiet, efficient heating and cooling equipment. With the "best customer support", Trane is the top HVAC equipment manufacturer in the world. "They have excellent response times within their tech support division," Service Manager Josh Via said. "They offer top-of-the-line training. Trane has some of the best residential and energy management offerings." "The [easiest] way to put it is they always answer the phone," General Manager Barry Shirey said. "They stand behind [us] as a contractor 100 percent!" The best part is that it's never been competition between other HVAC brands, according to Josh. "Ever since I started at Warner in 2004, we’ve been representing Trane," he said. "Like Warner Service’s long history in Frederick, Trane has a long history." In 1885, James Trane, a Norway native, opened a plumbing and pipefitting shop in La Crosse, Wisconsin. His son, Reuben, invented the convector radiator in 1923. This invention established the Trane reputation as innovative and forward-thinking. They were an industry leader from the get-go. "Learning the history of Trane...put into perspective on how Warner and Trane are alike," Josh said. "We strive to maintain [Warner's] own morals and values that built our company back in 1937." Our local HVAC company shares similar qualities to Trane. The most notable is the down-home moral backbone that built each organization from the ground up. "We do everything we can to build sustainable value through reliability, high quality education, advanced innovation, and integrity by employing the knowledge and expertise of our staff," he said. "We treat each client’s [home or commercial building] as our own. We realize this mission by setting the highest standards for service, expertise, and humanity in our industry. Trane and Warner Service share these same values." Warner Service represents products and services that benefit our customers. We understand the frustration of cooling and heating equipment breakdowns from shoddy manufacturers. Trane cares about their equipment from start to finish. Refrigerant is considered for its effects on the environment. HVAC products offer the proper airflow to improve indoor air quality, and CleanEffects™ reduces allergens and pathogens. It's is the best way to save energy and the environment and to receive an outstanding HVAC product. "Warner Service and Trane are great partners because we both want what’s best for our customers," Warner Service said. "[It's the] fact that we both want to offer the best quality and most reliable HVAC equipment on the market." "I recommend everyone I know a Trane system," Josh said. "I...believe in their products and...in their momentum moving forward to provide our customers with the best products applicable." "Trane’s dedication to product quality is second to none," Barry said. "Trane also gets involved in the manufacturer/contractor relationship by providing constant product training. They always find a way to be ahead of all other brands as far as technological advances." 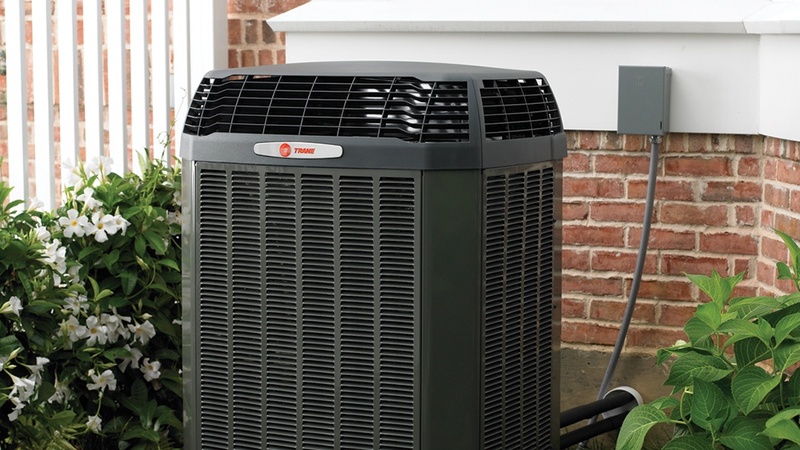 When you buy a reliable Trane product, you also receive reliable Warner Service help. We choose Trane for every residential and commercial project. We trust their HVAC industry knowledge, product commitment, and energy efficiency. We see global experience and unprecedented coverage.